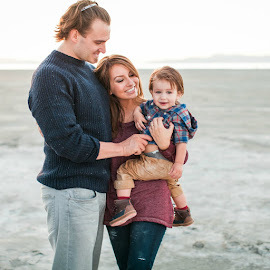 Lexi Michelle Blog: Best foods to pack in your picnic basket! Best foods to pack in your picnic basket! The weather has been so amazing lately! I am in love! It has me wanting to spend all my time outside, which is something I'm sure you could've guessed from my recent post on Sporty Date Ideas lol So today I'm going to talk to you all about picnic food! The ideal picnic foods are ones that can be easily packed, eaten with your hands (or minimal utensils), and are fine at room temperature (i.e. nothing that melts or should be served hot). I've compiled a list of my favorites that I hope you will enjoy as well! Our goal right now is to bring a small packed picnic basket with us every time we go to the park, which right now is a few times a week. Both our kids are young and not in school anymore, so we have way more park time available to us. For some reason, packing a picnic basket always feels like such a big chore that requires so much effort when in reality, it doesn't have to be that way at all. Normally, we always grab a couple quick snacks and some water when we go to the park because it seems easier, but actually packing a picnic basket with full meals can be just as easy. Okay first off let's cover the essentials. 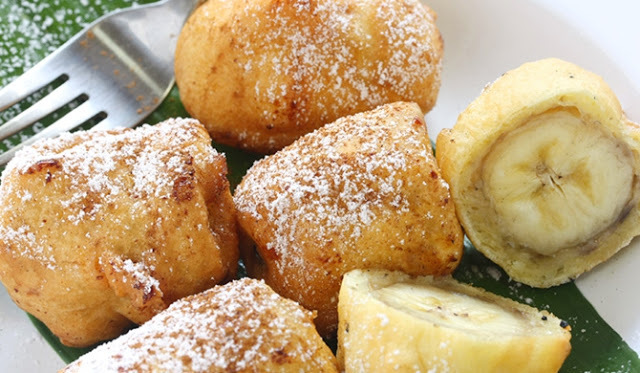 This looks unbelievably easy, but also sounds so yummy! Just check out those ingredients! We've actually tried this one out and it's pretty good. 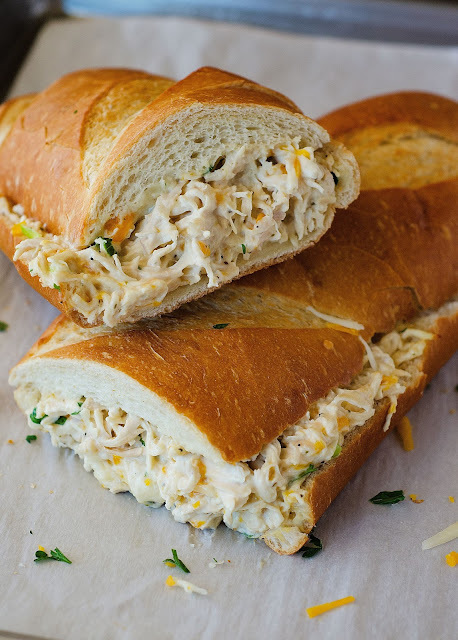 Although, we had so much sandwich leftover so next time we might just put this on small rolls instead of the large French bread in the picture. I don't know if you're familiar with Kneader's at all, but they have this delicious sauce they put on their sandwiches that you need to try! I'm not even a huge sandwich fan & I love it. 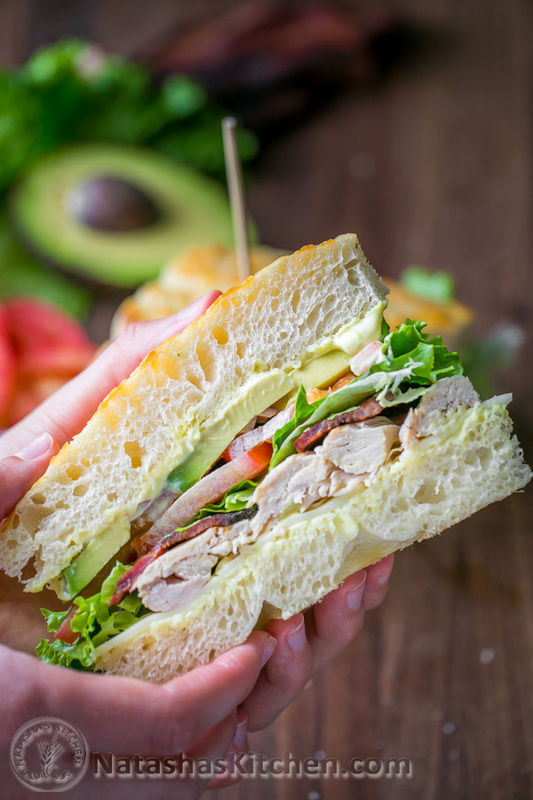 Thankfully, Natasha's Kitchen has come up with a great copycat version in her Chicken Bacon Avocado Sandwich! Everyone's different, I personally don't mind a room temp pulled pork sandwich, so I would take this on a picnic. 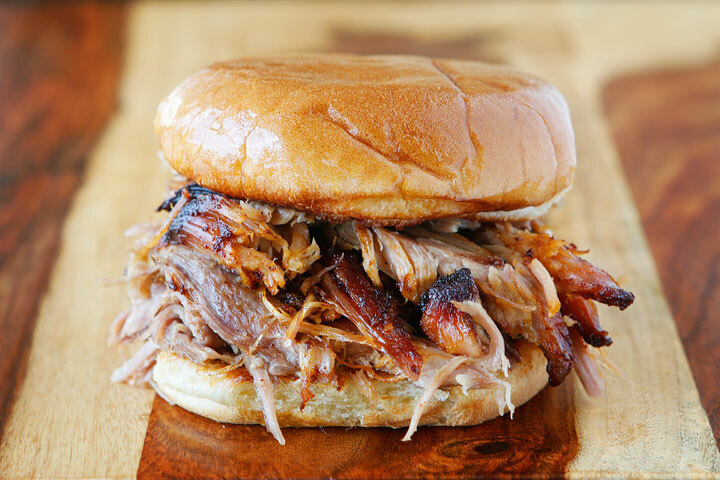 Plus, pork shoulder is literally so cheap compared to other meats at the grocery store! If you want a leaner meal, I think pork loin is probably your best cut to use. 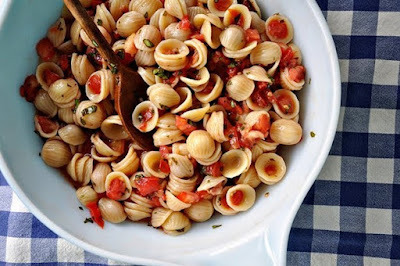 I'm a big fan of balsamic vinegar (and pasta and tomatoes lol) so this really looks like something I will be making very shortly! 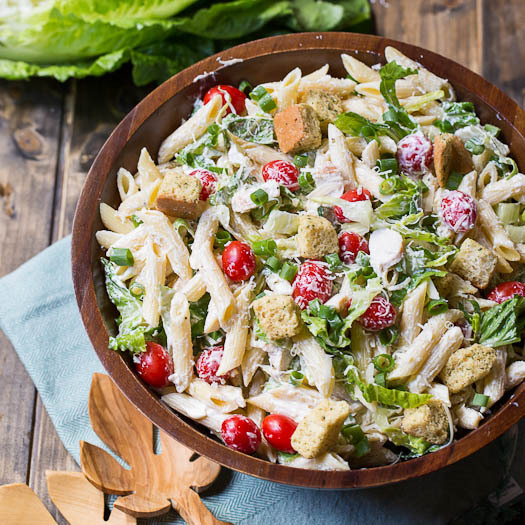 This pasta salad also looks like a winner! 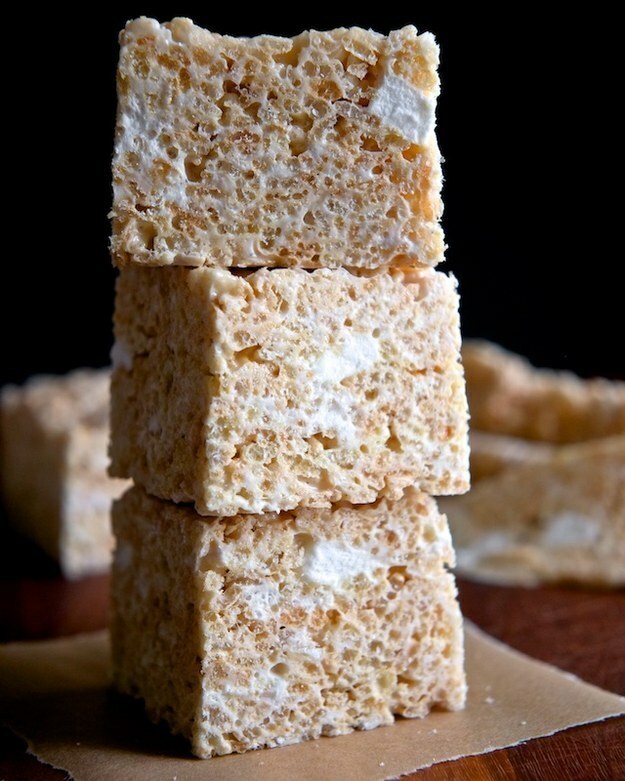 I love the idea of these "grown up" rice crispy treats! They look delicious! Plus they follow the picnic basket dessert rule--they don't melt. If you're looking for something a little more decadent, possibly more romantic? 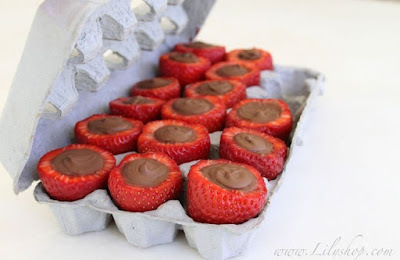 Try these chocolate filled strawberries! It's a great "picnic hack" so that you can have chocolate strawberries without having to worry about them melting all over your fingers! 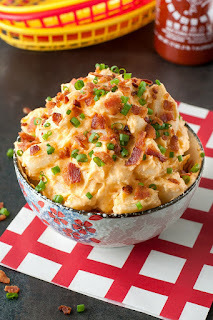 I've included this recipe before in my best foods for tailgating post, but seriously how delicious?! Aside from these delicious foods, I would probably include some fresh fruits & possibly some potato chips. Speaking of fruits, have you tried my Marshmallow Cream Cheese Fruit Dip? It was a hit at my son's birthday & is so easy to make! For drinks, we take things easy with some bottled water & Capri Sun pouches =) Don't forget to pack a blanket (I love this one: Picnic Blanket Tote ) and plenty of napkins!! Have fun! Side Note: Have you seen this hack for repelling flies from Making Lemonade? I can't wait to try it! I just want to know if plastic cups work as well... Anyone know?